Managing and working with others can be challenging yet business is all about people, and understanding human behaviour is at the core of almost every profession. We study the various patterns of human behaviour and thinking styles and utilise the most accurate profiling tool in the market to share insights and help you understand yourself and your team at a deeper level. 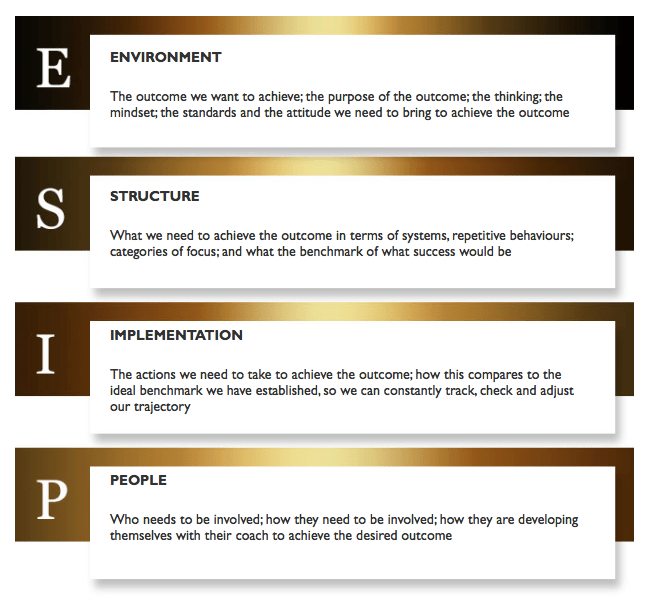 Through the combined use of Extended Disc® Profiling, Open 360 Feedback Tool and the ESIP Critical Alignment Model, we have a very powerful way of helping you deliver sustainable change within your team. What motivates and demotivates them? How do they achieve their goals? What’s their decision making style? How do they compliment my team? Who is their ideal manager? How do they handle stress? As a leader, how do you come across to others? How do you advance the group? What is your communication and decision making style? How do you relate and work with others? How can you better influence and inspire others? What are the teams strengths and stretches? How do they manage pressure and stress? What are their development areas? How do they manage their time? What role do they play in the team? How does your leadership style suit them? Thomas Mann once said “people’s behaviour makes sense when you think about it in terms of their goals, needs and motives” and I agree. Extended Disc® is one of the most comprehensive and accurate psychometric tools in the marketplace today to understand ourselves and others. With the highest accuracy rating of 88%, you significantly increase your ability to predict likely behaviour with the people you work with, with the team you lead and with the people you do business with. Business leaders use our Profiling and Open 360 tools to understand, improve, and adapt their preferred ways of communicating, making decisions and leading teams. These tools effectively increase self-awareness and emotional intelligence. Going through a facilitated and personalised unpack process of your own and your teams profile, supported by a team training program, these tools provide the opportunity to help identify and close the gaps to creating high performing and functional teams. Identify your natural behavioural style and how you come across to others, and develop a better understanding of how to improve individual and team performance and effectiveness. Understand your teams behavioural strengths, where functional gaps lie and how individuals are adjusting their behaviour and what this mean in their energy, effort and attention. Appreciate various work styles and gain insights on team strengths in time management, team work, and decision making, while pinpointing stress triggers and development areas. The standard profile report identifies and reports on 160 different behavioural styles and provides accurate data on which behavioural styles someone consciously and unconsciously displays. We offer a customised Open 360 feedback tool for leaders and conduct specific analysis on candidate selection and team dynamics against 1200 varying competency levels. Understand your natural leadership behavioural style, enhance your personal communication, lead effective change and resolve underlying conflict to get the most from your team. Improve and enhance professional relationships, establish and build rapport quickly with prospects, and increase sales by identifying how each style sells and what the buying style is of your prospect so you can compliment their style. Assess existing team strengths and stretches, know the team gaps when recruiting, improve communication and performance between team members and identify potential team leaders. Customise this professional feedback tool to incorporate peer and team feedback for measuring skills, competencies and behaviours in further developing emerging and existing leaders. Designed to assist two people to work more effectively together such as building strong PA and EA relationships or key project pairings, and also ideal for resolving conflict between individuals. Profile your top two short listed candidates to ensure behavioural styles suit job requirements and receive an on-boarding report to support the line manager develop the successful candidate.